If you find mold in your Detroit area home, don’t just try to wipe it away yourself. You’re going to need a professional mold removal service. This is because the mold you see may not be the only mold that’s growing in your home and you’ll want to make sure you get rid of it all. Mold can damage your home as well as cause health problems for anyone with respiratory issues or allergies, after all. If you have mold in your home or you think you might (for example, there’s a musty smell that indicates there’s mold growing somewhere even if you can’t find it), then you should have a professional mold removal service come and do a thorough evaluation of your Detroit area home. 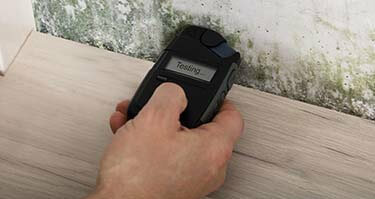 Determine the presence of mold – In cases where there’s no visible mold but you think that you might have mold, an inspection can identify if there is actually a mold presence. This can be helpful if you’ve recently had water damage done to your home as the result of flooding or a leak since that often promotes mold growth. Make sure mold issues have been resolved – If you had problems with mold before, then getting an inspection done some time after the previous mold was removed is a good idea. This will ensure that the mold was properly removed and hasn’t come back. You’re having health issues – If you’re having allergies or other health issues and your doctor can’t figure out a cause other than that your symptoms are similar to mold symptoms, you may want to have an inspection done. You’re selling your home – You’ll want to make sure that there are no mold problems when you sell your home or it could affect your ability to attract buyers. Identify the source of the mold – If you know that you have a mold problem, you’ll want to know where it’s coming from so that you can eliminate the source. An inspection can determine what the source is, whether it’s a leaky pipe or poor ventilation, to name a few possibilities. When you need mold removal services, you also need mold remediation. Mold removal is often just a temporary solution. Mold remediation works by finding the source of the mold and getting rid of it completely. A professional mold remediation service will also take steps to make sure that mold spores don’t spread throughout the home during the cleanup process, which would just result in mold growth later on. The way they do this is by implementing containment procedures; for example, negative air chambers, which prevent spores from spreading, and air filtration equipment, which removes excessive spores from the home’s air. 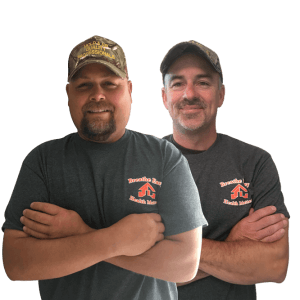 If you need a mold remediation service in the Detroit area, you won’t find one as trustworthy and reliable as Mold & Air Quality Professionals. 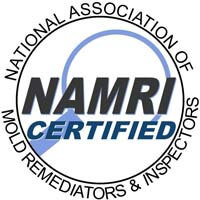 Unlike other mold removal services, we do not have flat rates or minimum charges. Our prices are based on a case-by-case basis, which means you won’t be paying for work we didn’t do. Additionally, we go above and beyond to provide the highest quality service. Not only do we offer comprehensive mold remediation services, we also remove mold stains, use all-natural botanical products and provide a service warranty on our work. Not to mention that we are certified by CMR, PMII and NAMRI. 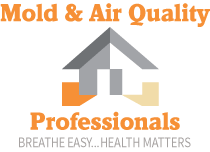 For a free mold removal quote in the Detroit, MI area, be sure to contact us at Mold & Air Quality Professionals today.